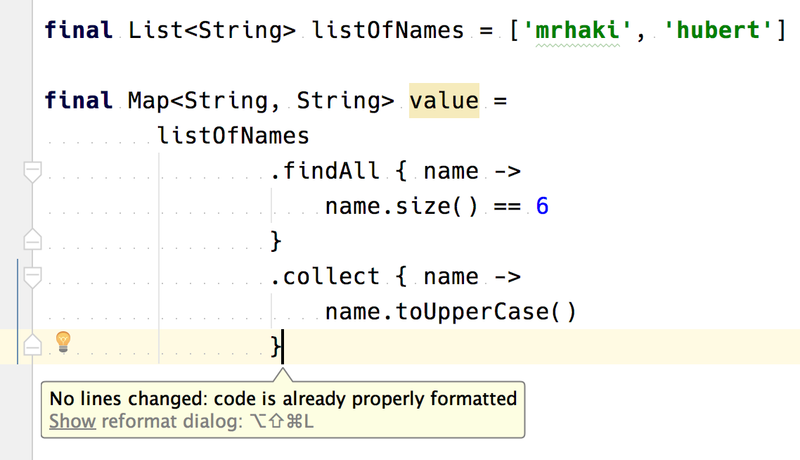 When we write code with a lot of method chaining that involves closures and the use the Reformat code feature of IntelliJ IDEA things might get screwed up. 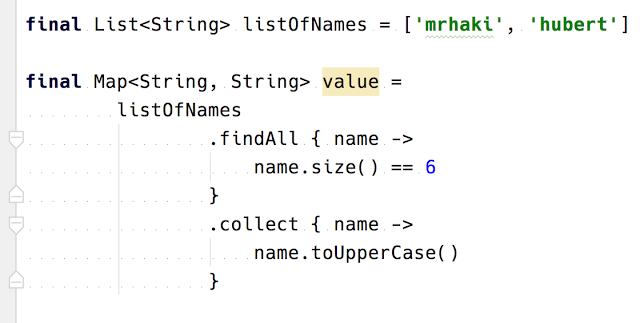 Luckily we can changes some Groovy formatting rules in IntelliJ IDEA to prevent the reformatting. 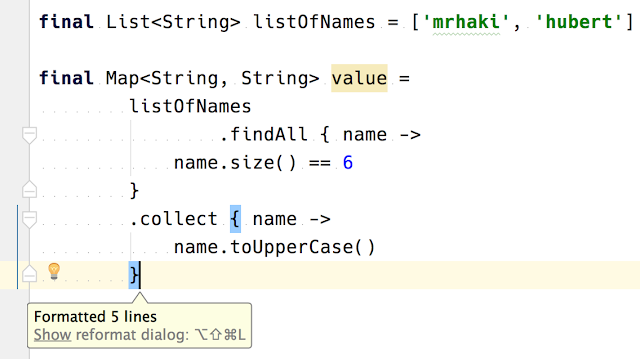 Written with IntelliJ IDEA 2016.1.